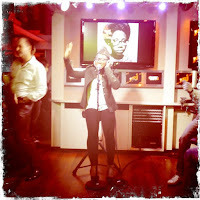 Asa sings her heart out - beautiful imperfection! With her dreams fully in motion and with an array of experiences under her belt, Asa was in a purely positive frame of mind when crafting her new album, Beautiful Imperfection. Below, you'll find 5 exclusive tracks from the new album. Asa's simply surreal; her music makes you shut your eyes, breathe in, gasp for air while asking - is this real? "It is different from the first album; it has more brightness” Asa says of Beautiful Imperfection. One of the album’s stand-out tracks is the up-tempo, country music-tinged Broda Olé – a song you can’t help but clap your hands to. Sung in Yoruba, Asa explains that the song attempts to deliver its message through comedy and irony. In addition to the upbeat, happy tones of the album, Beautiful Imperfection also boasts gorgeous ballads with Baby Gone, Oré and the haunting, piano-driven song Questions. Armoured with a strong sense of self and restored happiness, Asa is ready to make her mark on the music world all over again. The album is out for grabs all around the globe. This is mind blowing. Asa has done it again. 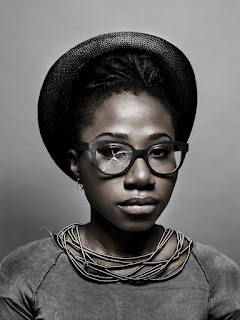 You can get Asa's album from her website.